Nothing screams more to me “Puerto Rico” than taking a bite of this creamy and oh so delicious guava cheesecake! 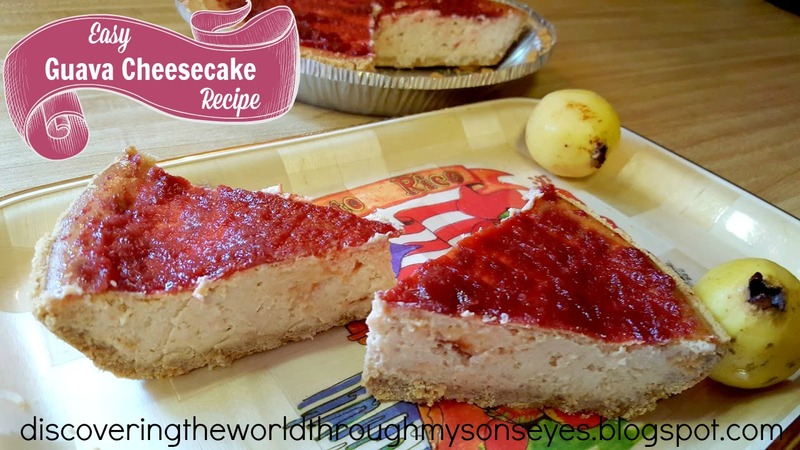 Savoring a bite of guava cheesecake reminds me of my days working in a restaurant that sold the famous “cheesecakes de guayaba.” Such fond memories! I’m trying to get my little one to enjoy the guava cheesecake as much as I do, but he doesn’t really like anything with “cheese” in it, and he’s a die-hard chocolate fan!!!! So what’s a mamá to do?? I make it, and cut a slice for me; and freeze the rest. This guava cheesecake freezes well. Mix cream cheese, guava paste, sugar, and vanilla in a large bowl with an electric mixer on medium speed. Add the eggs, and mix together. Pour mixture into the ready-made pie crust. 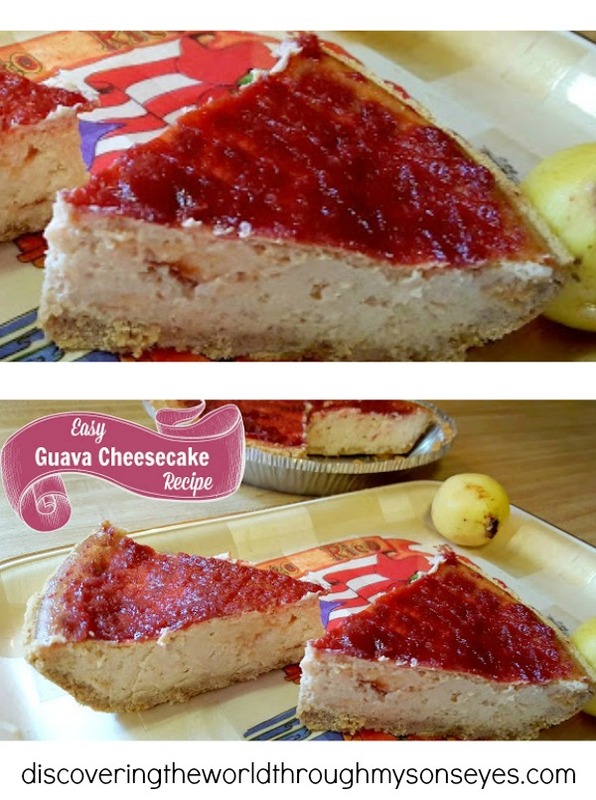 Bake for 40 minutes or until the center of guava cheesecake is firm. Chill for 3 hours or overnight spread guava jam over it, and then serve.